Lots has been going on in the world of British surfing since we last spoke. We’ve had a few comps at home, Brits landing results away, chargers charging and a host of high performance edits dropping from some of Britain’s best free surfers. Let’s dive in! Ben Skinner is currently sitting in 3rd on the European WSL longboard rankings after landing himself a 3rd in Spain and 5th in Portugal at the two most recent comps. In The second European JQS in France St Ives’ Harry De Roth landed himself a keeper result, with quarter final finish. The British contingent are now gearing up for a busy month on the European JQS, with three comps across two countries running virtually back to back. The WQS is also about to land in Europe with a string of 8 comps, starting off in Spain at the begining of next month, where QS grinders Jobe Harriss & Luke Dillon will be looking to get their European leg campaigns off to a good start. Speaking of Luke, if you often find yourself gazing at him across the car park at Fistral wondering how he gets his hair and skin looking so darn great, you’re in luck as he’s just released his full beauty regime exclusively to the Standard here. After we saw it the entire WL editorial team was given a dressing down for not being first to the scoop. We’ll do better next time. Back in Blighty, Watergate Bay hosted English Nationals run in what people diplomatically refer to as ‘challenging conditions’- the first couple days were tiny and finals day onshore and super junky. The biggest story is the total dominance of Bude’s 14 year old Ellie Turner, who took out the Under 16’s, Under 18’s and Women’s Open cementing claims that she is one of the most exiting up and comers in Britain right now. 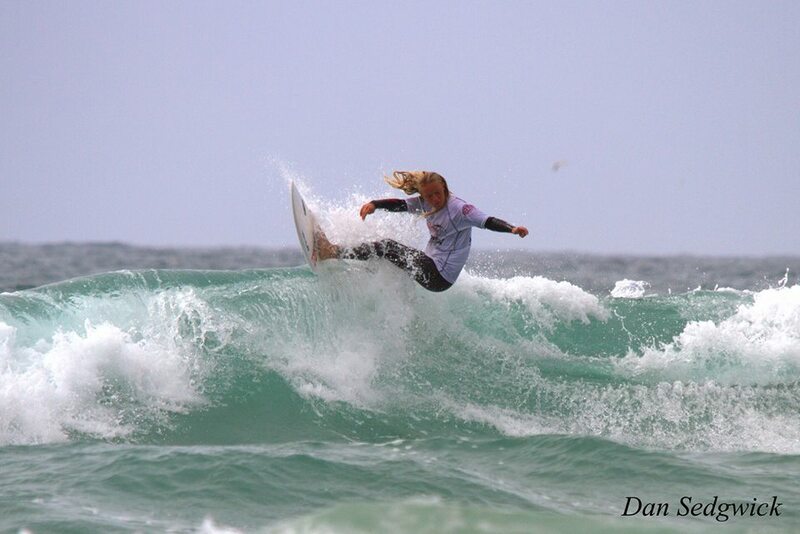 In the mens open Reubyn Ash took out the win followed by Alan Stokes, Jayce Robinson and Oli Adams respectively. Jobe Harriss once told me that for the first few years of his career he was consistently miss labeled in surf mags (usually as Joe Parish) and it looks like he’s still yet to shake the curse as the English nationals twitter reported after his heat that some lad named Jobe Hopkins had just stormed through his quarters heat. We’ve heard on the grape vine that the top 5 on UKPSA ratings will all be getting wild cards into Boardmaters, which, if true, means they will be awarded to Joss, Jobe, Luke, Reubyn, Oli & Stokesy. Alan Stokes has also just dropped his long awaited film ‘My Canvas’ which won best short at the Approaching Lines film festival last month, you can watch it in full here. The London Surf Film Festival has also just opened up for entries! Find full details here. @tomloweyo pulling in an epic tube! Yew!